The UNIZ Software Suite provides many tools for preparing your next print on your UNIZ printer. 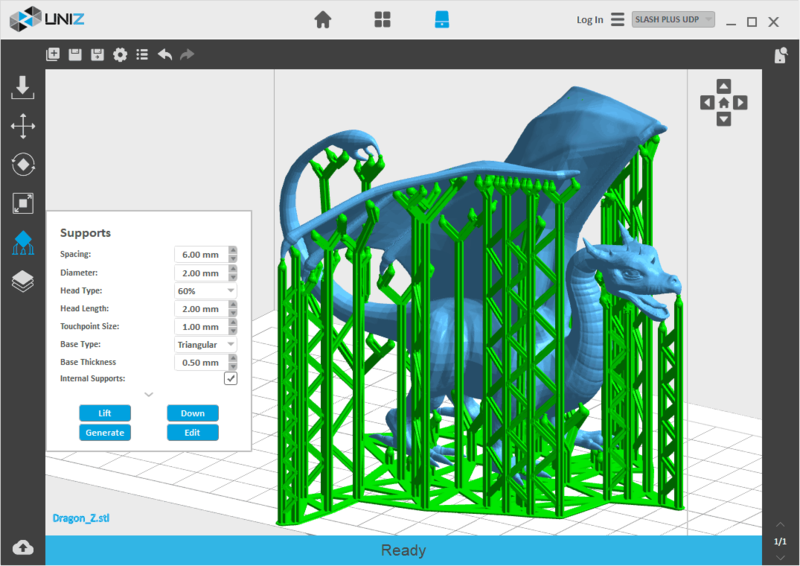 Select portions of your model to print in higher or lower resolution in order to increase printing efficiency. Automatically add supports with the click of a button using our advanced support algorithm or manually add them yourself. Manage multiple printers either wirelessly or through USB. Easy to use cloud service allows for quick model browsing and prints with just a tap on your smartphone. With the UNIZ One-click printing App, your next print can be as easy as a few touches on your smart phone or tablet. 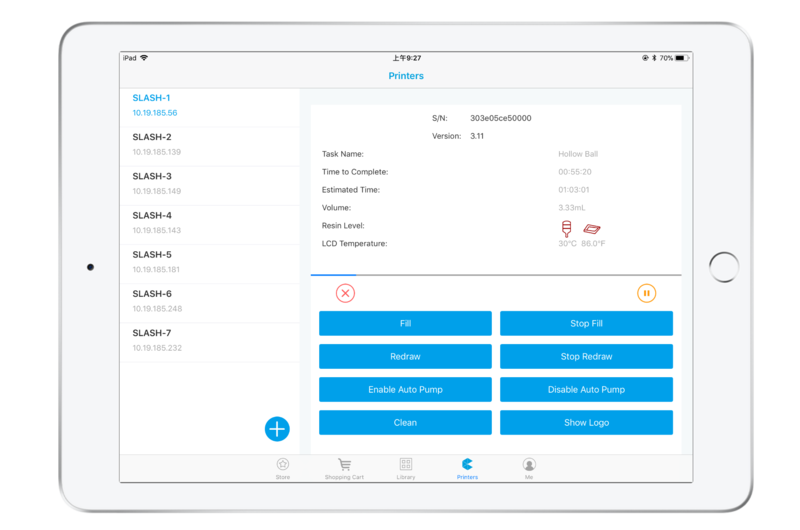 You can monitor, pause or cancel the printing process anytime, anywhere on your mobile device. Download directly from our pre-validated online model store and start printing with one tap. Acquire print status and control printers from anywhere using your smartphone. Check the progress of your prints with real time photo updates. Manage multiple SLASH 3D printers. 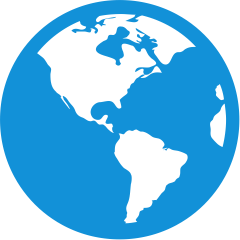 Monitor and control your printers from either local or mobile wireless network.